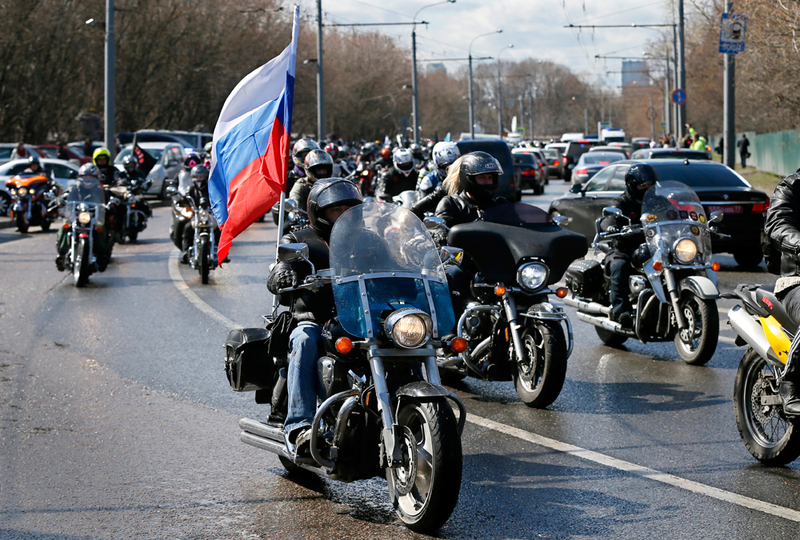 The Night Wolves bikers are conducting the Moscow-Berlin motorcycle rally in honor of the Victory Day. Members of the Night Wolves motorcycle club used air travel to get to Europe, and will continue their motorcycle rally to Berlin, despite having been stopped earlier by Polish authorities from crossing the country's border, the club's leader Alexander Zaldostanov, also known as Khirurg (Surgeon) told Interfax on May 4. "Everyone who was planning to travel have reached Europe. Now, we are in Bratislava, the number of people is increasing literally every hour," he said. The bikers had expected to have problems at the border and envisaged various alternative ways of getting to Europe, Zaldostanov said. "Some people who were supposed to travel, we did not have them on our list, they travelled earlier. And, if we get turned away here and all other borders are closed, in that case, if Plan B does not work, we have Plan C," he said. Those who flew in to Europe will be given motorbikes by their European counterparts to continue the rally, Zaldostanov said. "Afterwards, everything will be as planned: Austria, Berlin, everything like last year, these are the Roads of Victory," he said. It was reported that on May 1 the Night Wolves bikers, including European passport holders, were prevented from crossing into Poland.